First things first, if you live in the United States please VOTE today! Make your voice heard and exercise your rights people. It feels good and you might even get a fun sticker to wear. 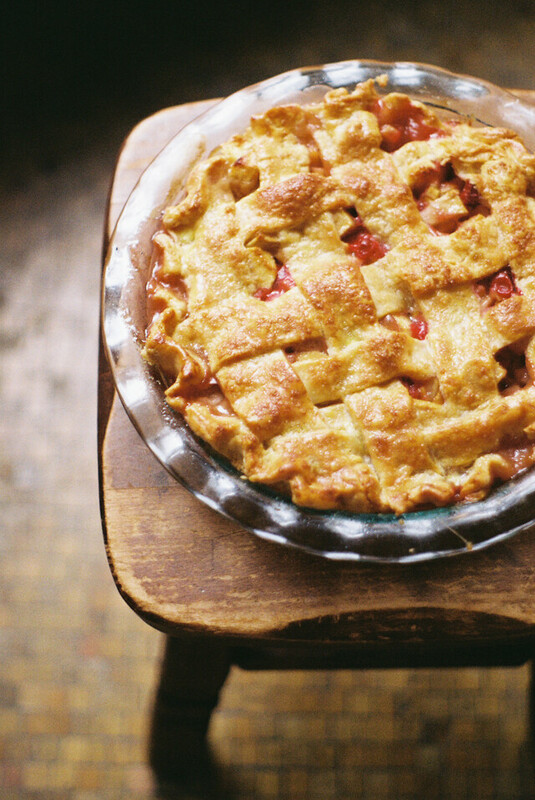 Then, maybe make a pie to calm your nerves while you wait for the election returns to roll in tonight. You could also just bookmark this one for Thanksgiving and go to your neighborhood watering hole for a pint instead. I won't judge. The combination of sweet apples, tart cranberries, and floral quince is a new favorite of mine and this pie would be a perfect addition to any holiday table. If you can't find quince, just replace it with another apple, but I encourage you to seek it out and give it a try! throughout the dough instead of little pockets of butter. other half of the butter until it is the size of quarters. Add the apple cider vinegar to the water. and squeeze it together without it falling apart. press it together, then split it in half, and wrap each half in plastic wrap and form into a disk. Chill the dough for at least one hour before using. I like to chill mine overnight. the butter) and stir gently to combine. and place it into a 9 or 10 inch pie pan. Place in the fridge while you prepare the rest of the pie. fridge to chill while you prepare the filling. sprinkle with a healthy dose of coarse sugar. of egg wash 10 minutes before you take it out of the oven, but keep a close eye on it to prevent burning.